Make sure you don't get towed away from here if you are looking for superb breakdown cover deals. Whether you want home start, roadside assistance, recovery or all three, there are top offers which will earn you cashback and voucher codes. Browse breakdown cover options at AA UK Breakdown. Get roadside assistance, at home cover, national recovery and more and earn cashback. Browse breakdown cover at Green Flag. Get European breakdown cover, recovery, roadside assistance, home call out and earn cashback rewards. 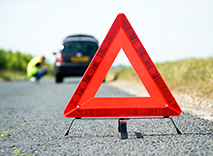 Buy breakdown cover to suit you at Start Rescue. Get roadside assistance, nationwide recovery, home call out and accident recovery and earn cashback. ASDA breakdown cover from £27 a year. Protect your vehicle with Asda! Buy AA European Breakdown Cover for driving in Spain, Italy, France or Ireland. Get cover in Europe for classic cars and earn great cashback rewards. Buy Award winning breakdown cover for car, motorbike, caravan and trailer, motorhome and van. With GEM you are covered as driver or passenger in any..
Buy cheap breakdown cover at Breakdown Assist. Get caravan and trailer cover, home start, recovery and roadside assistance and earn cashback rewards. Visit CompareBreakdownCover for UK and European policies. Enjoy peace of mind with recovery, roadside assistance and home start and earn top cashback. Shop for camera, cycle and car hire excess insurance, as well as breakdown cover, at Eversure Insurance. Cover against theft and earn great cashback.